On behalf of all staff and faculty at Rio Salado, we wish everyone a safe and happy Independence Day weekend! 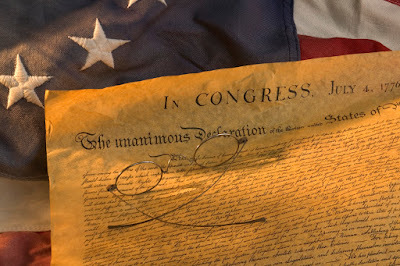 This special holiday marks the adoption of the Declaration of Independence and our independence from Great Britain on July 4, 1776! Looking for a way to celebrate? Here are 29 Fourth of July celebrations around the Valley from azcentral.com! All Rio Salado locations and Testing Centers will be closed July 2 - 4 in observance of Independence Day, except for the Testing Center at Tempe, which will be open July 2-3, 8 a.m. – 5 p.m.
As a reminder, most Rio Salado locations and services will be closed on Fridays, until Aug. 14. We will resume week-long operations on Aug. 17.